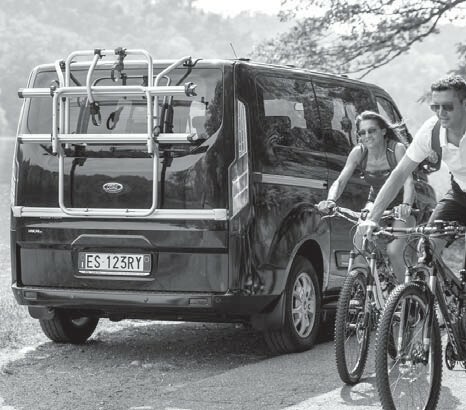 New version of Carry-Bike for Campervan, designed for the new models Ford Transit Custom and Ford Tourneo Custom with lift up tailgate. It adheres to the lower part of the rear thanks to its contoured profile that follows the shape of the vehicle. 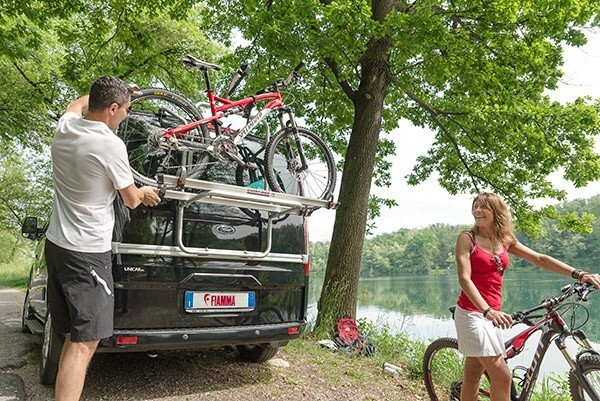 Supplied as standard with: 2x Rail Quick black (bike support), Bike-Block Pro 1 and 3 (frame to bike holder), 1 x Rack Holder (secures the bike support when folded away) and Security Strip (buckled strap). 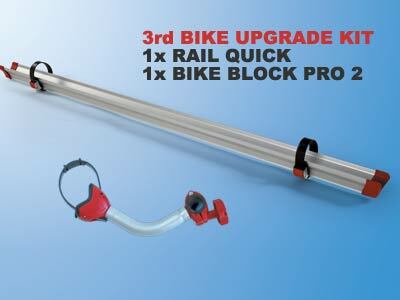 Supplied as standard to carry 2-bikes but can also be purchased with additional Rail Quick support and Bike Block to carry 3 (see images above).